1156/1141 base LED Bulb. Applications 12 VDC auto, marine, RV, and military vehicles. 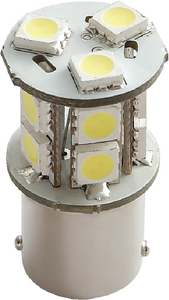 High Power 5050 SMD LEDs.